Samuelsson: To make a car even more premium, one of the more interesting things is a full autopilot. DETROIT -- Hakan Samuelsson is leading a company where things are arguably going very, very well. Volvo Cars' year-on-year global sales have increased 16 months in a row. That's driven largely by the XC90, which won practically every major award given to new vehicles in 2016, including North American Truck of the Year. 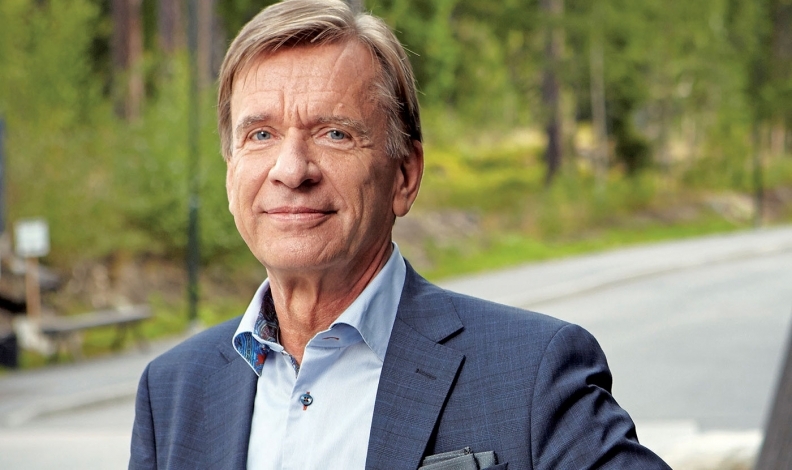 Success was not assured when Samuelsson moved from a member of Volvo's board to become CEO in October 2012. The company in 2010 had been acquired from Ford Motor Co. by China's Zhejiang Geely Holding Group. Volvo went into a sort of hibernation for a few years before emerging with the launch of the XC90, determined to compete with a vehicle loaded with technology and luxury. But Samuelsson, 65, is not resting on the XC90's laurels. He's looking ahead to the world of autonomous driving and mobility. He spoke with reporters last month after a speech at the World Mobility Leadership Forum in suburban Detroit. Q: Volvo is having a stellar year in the U.S. Can you talk about that? A: It started with our new products. You saw the new SUV coming out 1½ years ago, and it has been a very big success. And it's also turned around the American market, which was very essential for us. We've been in this country for so many years. Volvo without the U.S. would not be the real Volvo. So that's why we said we need new products, but we also need to show commitment to this market. We have to show that we are also ready to invest, and of course we need a factory. And that was the reason why we decided to build one in South Carolina. What's the progress of that plant? We are building; the construction is going well. We have a building right now and in mid-2018 the first car should roll out, as planned. In that plant we will build cars based on our new architecture, which we call SPA. They will be midsize sedans, which we will build exclusively in Charleston and also for export. We see capacity in Charleston of around 100,000 cars within a couple of years. It's an investment for our customers, and I think it's important for us to show a sign of commitment to this market. I think it's very difficult to grow in the U.S. market if you are just importing cars. I think you have to be closer to your customers. You have to understand the market better, and you'll only be able to do that if you treat this country as a whole market. So you need to produce here, you need to develop products here and, of course, you have to continue selling them here. How important is the U.S. in Volvo's turnaround plan? It's absolutely important because, I mean, we want to be a global company. We have been in the U.S. since I think '57 and it's very important that we come back into higher volume. The last five years we have had negative development. In the last year or so we see a clear turnaround. We are growing right now at around 30 percent and that is to be able to make Americas into a whole market because we see Americas, Europe and Asia Pacific, that's really markets where we have to be present, industrially and commercially. How is the partnership with Uber pushing Volvo into the future? Individual mobility in the big cities is very difficult to fulfill in the traditional way with the car parked 95 percent of the time, so I think Uber and other companies have an interesting concept looking forward. Making that concept more accessible and affordable will also make it more luxurious. We want to participate in that by developing cars that can be used by Uber, and that's really what we're developing with them. Volvo talks more about personal ownership of autonomous vehicles than other companies. Ford thinks autonomous vehicles will go into shared fleets first. How will the market develop? I think the market will divide. The Lyfts and Ubers have a very strong concept, and that will of course be very different from the traditional model. I think we have a very interesting role in supplying them with cars that could deliver this service. And then, that is something I would say is very interesting for us. There are very few suppliers ready to deliver that. And then on the other side of the market, you still need to have a car that is not just fulfilling the transportation demand but also giving our customers sort of an emotional value. To make a car even more premium, I think one of the more interesting things is really a full autopilot -- not the supervised version, but really the one where you can sit back and watch a movie or do whatever. That will make the premium car even more premium, even if you take out a bit of the driving pleasure. I think this is something we see to improve the premiumness of the car. So we will take part in these two ends of the future. Will one come before the other? You have to ask Uber how fast they will be. But the car is being delivered to them right now. I think they are driving in Pittsburgh now with Volvos. They will put in their system, which is very different [from Volvo's system]. It is designed for an urban environment. Our system will use any highway really, which is digitized, and then without limitations. It's very different. I wouldn't say it's a simpler software. It is something we are going to develop together in our joint venture with Autoliv, which are leaders in passive safety, which has been a partner to Volvo for many years. That feature on a premium car is very valuable. Once you have tried it, you will pay a lot for that. Much more than aluminum wheels and upholstery. I think with such functionality, for sure it could be coming close to $10,000 if you look at what other systems in a car will cost. But really in the end, this is something the customers have to decide how valuable it is. The point is we believe this is something that makes a premium car very attractive. And this also makes premium cars more profitable, and that's why we want to develop it. You said last year that Volvo would accept liability whenever one of its vehicles is in autonomous mode. Why haven't other companies followed Volvo's lead? I don't know that another automaker hasn't done that. My point is the same as when we said this: If you're serious and you have the ambition to deliver an autopilot to the customer where you can sit back and relax, then you cannot have a big sticker on the sun visor that says "Whatever happens, you are responsible as the driver and you have to be ready to jump in." I mean, then you don't have the product. Either you have it, and you take liability, or you let somebody else be in the business. Because nobody will buy an autopilot where you have to supervise. I mean, that's the whole idea with it. How will Volvo's car-sharing technology impact sales? Normally, you sell a car to our customers and ... a lot of the time it's parked. In the future with new technology with digital keys, you can allow more customers to make the car available for a car pool when they are out on a vacation or trip for a week. It can be loaned out to somebody else and it can be brought back in a safe and controlled way. And that, of course, could give our customers an income for that week and that would make our cars more attractive. That's something our retailers will like to have: selling a more attractive car. What would Volvo like to tell its U.S. dealers? I think it's important now that we see Volvo on the right track and we see new products coming out. We see our brand is growing in the market, and their commitment is very important in this process.